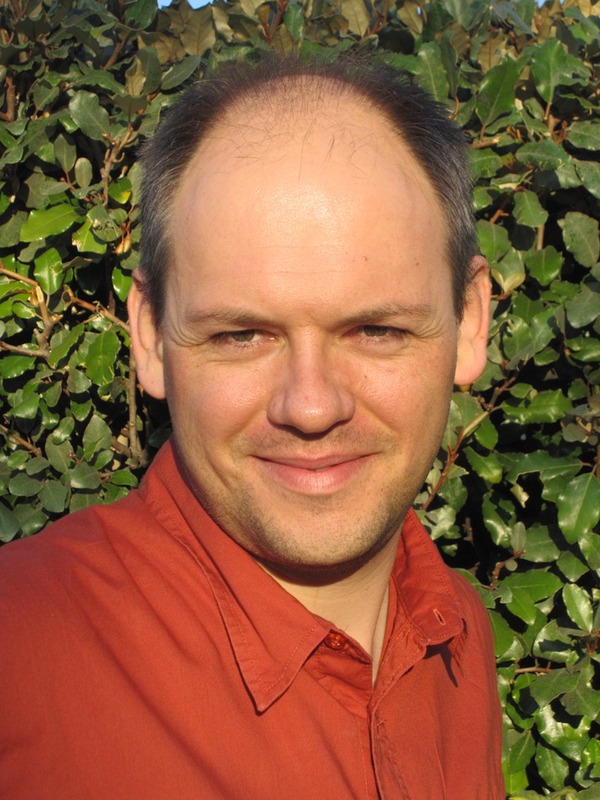 CEMES - CNRS - Erik DUJARDIN, PhD Habil. Achievements in nanomaterials chemistry and physical chemistry. E. Dujardin, as a physical chemist interested in the size effects on functional nanomaterials, has been exploring different ways of controlling the size, morphology, structure and interparticle coupling of nanoparticles. In recent years he has applied synthetic principles observed in natural biosystems (Adv mater 2002) to the control of the properties of metals and optically active molecular systems. He was the first to report the use of mosaic virus to grow and assemble Au nanoparticles (Nanolett 2003), reported the crystallographic structure of seed-mediated nanorods, contributed to the first report of double walled dielectric nanotubes grown on tubular peptidic template (Nat. Mater 2007, JACS 2010). Recently, he has been co-leading with a biologist a world-pioneering work on creating and using fully artificial, self-assembling proteins for the morphosynthesis of plasmonic nanoparticles. As an alternative to biosystems, E. Dujardin has also studied nanocapillarity (Science 1994, Adv. Mater 1998) and the manipulation of nanodroplets of liquids as a way to confine reactants (Nanolett 2006) and is now applying this approach to crystalline nanoplasmonics. Overall, he has published more than 25 papers in this activity. Achievements in graphene. E. Dujardin has been at the pursuit of atomic scale patterning of graphene for numerous years (Nature 1997, APL 2001, Small 2008) but could only benefit adequate facilities after joining CEMES. In the past 7 years, he has set up the graphene nanopatterning and transport activity in this lab and has been involved in several French collaborative programs. After a period of convergence of techniques able to extract, deposit, pattern and electrically contact graphene monolayer on an insulating substrate, his group has reached the level of expertise required to bring graphene into UHV environment and perform atomics-scale design (ACSNano 2013). 1. Few layers graphite on silicon carbide, graphite and graphene : a Raman scattering study. C. Faugeras, A. Nerrière, M. Potemski, A. Mahmood, E. Dujardin, C. Berger, W.A. De Heer. Appl. Phys. Lett., 92, 011914 (2008). 2. Side-gated transport in Focused Ion Beam-fabricated multilayered graphene nanoribbons. J.-F. Dayen, A. Mahmood, D. S. Golubev, I. Roch-Jeune, P. Salles and E. Dujardin. Small, 4, 716-720 (2008). 3. Graphene, a 2D dream coming true. C. Soldano, A. Mahmood, E. Dujardin. Carbon, 48, 2127-2150 (2010). Achievement in colloidal nanoplasmonics. In the past 8 years, E. Dujardin has advocated that colloidal and self-assembly chemistry of metal nanoparticles could contribute to obviate some shortcomings of conventional plasmonics by reducing dissipation and shaping the spatial and spectral distribution of EM fields at the nanometer-scale (JOPA 2006, NJP 2008). He demonstrated the first large scale assembly of 10-nm Au nanoparticles into single particle chain networks (Adv Mater 2005, Adv. Funct Mater 2010). In collaboration with C. Girard in CEMES and several optics groups, he investigated the optical properties of the isolated or self-assembled colloidal structures produced in his group (PRL 2006, PRB 2010, ACS Nano2012). In particular, he showed that crystalline colloids can select the plasmon modes in the sharp-edged particles (ACS Nano 2012). E. Dujardin, C. Girard and A. Arbouet recently proposed the principle of modal engineering of plasmon density of states in 2D crystalline metal plates (Nat Mater 2013). 5. One-dimensional plasmon coupling by facile self-assembly of gold nanoparticle into branched networks of chains. S. Lin, M. Li, E. Dujardin, C. Girard and S. Mann. Adv. Mater., 17, 2553-2559 (2005). 190 citations, ISI Highly Cited Paper. 6. Near-field optical properties of top-down and bottom-up nanostructures. C. Girard and E. Dujardin. J. Opt. A : Pure Appl. Opt., 8, S73-S86 (2006). 7. Theoretical near-field optical properties of branched plasmonic nanoparticle networks. C. Girard, E. Dujardin, M. Li, S. Mann. Phys. Rev. Lett., 97, 100801 (2006). 8. A Generalized Mechanism for Ligand-Induced Dipolar Assembly of Plasmonic Gold Nanoparticle Chain Networks. M. Li, S. Johnson, H. Guo, E. Dujardin and S. Mann. Adv. Funct. Mater., 21, 851-859 (2011). 9. Plasmonic Nanoparticle Networks for Light and Heat Concentration. A. Sanchot, G. Baffou, R. Marty, A. Arbouet, R. Quidant, C. Girard, E. Dujardin. ACS Nano, 6, 3434-3440 (2012). 10. Tailoring and imaging the plasmonic local density of states in crystalline nanoprisms. S. Viarbitskaya, A. Teulle, R. Marty, J. Sharma, C. Girard, A. Arbouet, E. Dujardin. Nature Mater., 12, 426-432 (2013). 2002 : Post-doctoral fellow in the Laboratory of Molecular Electronics of the Atomic Energy Commission (CEA, France). Supervisor : J.-P. Bourgoin. Carbon nanotubes nanoelectromechanical switches. 2000-01 : Post-doctoral Marie Curie fellow School of Chemistry, University of Bristol (UK). Supervisor : in the group of Prof. S. Mann FRS. Biomimetic synthesis of uniaxial arrays of metallic nanowires. 75 publications in high quality international peer-reviewed journals, including 4 invited review articles and 4 book chapters, plus 4 refereed international conference proceedings totalling close to 7000 citations on ISI WoS database (15 papers exceeding 100 citations, h = 32). 23 invited conferences, 20 invited seminars and about 50 communications. Since 2001, E. Dujardin has supervised the research work of 12 post-doctoral Research Associates, 14 Master and 4 Bachelor students and co-supervised 13 PhD students (between 30 and 100%). Funding agencies : NSF (USA), ESF (Europe), MESR (France), ANR (France), CONICYT (Chili). Member of ANR selection committees : "Blanc - NanoSciences" et "Jeunes Chercheurs/euses - NanoSciences" (2010-12) et CE08 (2014). Member of the OMNT UMS 2920 : Groups "Molecular Electronics" (2005-2010) and "Bio-inspired Nanotechnologies" (2007-2012). 2013 Project ANR SIMI10 "PlaCoRe" in colloidal nanoplasmonmics (4 yrs, main PI). 2010 Project ANR P2N "GRAFONICS" on graphene device functionalization(3 yrs, Principal co-Investigator). 2009 Project ANR SIMI10 "PlasTips" on nanoplasmonics nanoprobes (3 yrs, Principal co-Investigator). 2008 Project ERC Starting Grant "COMOSYEL" on graphene, nanoplasmonics and bionanomaterials (5 yrs, PI). 2008 CNRS High Risk Interdisciplinary Project on bionanomaterials (1 yr, Principal co-Investigator).